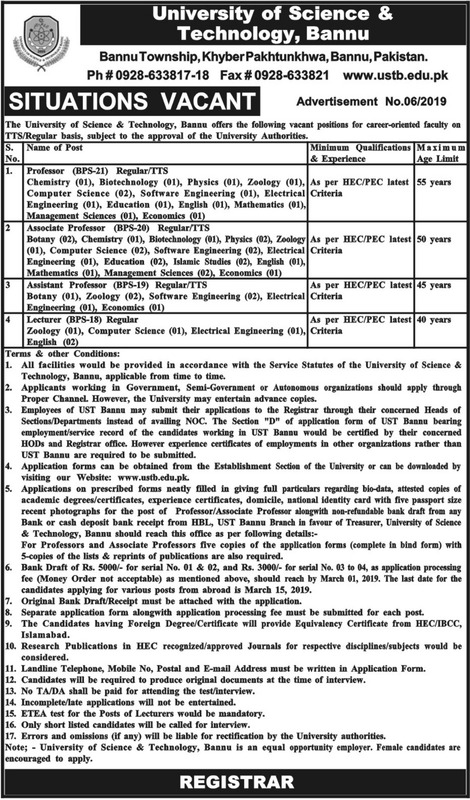 See at this page University of Science & Technology Bannu Jobs 2019 KPK Latest. 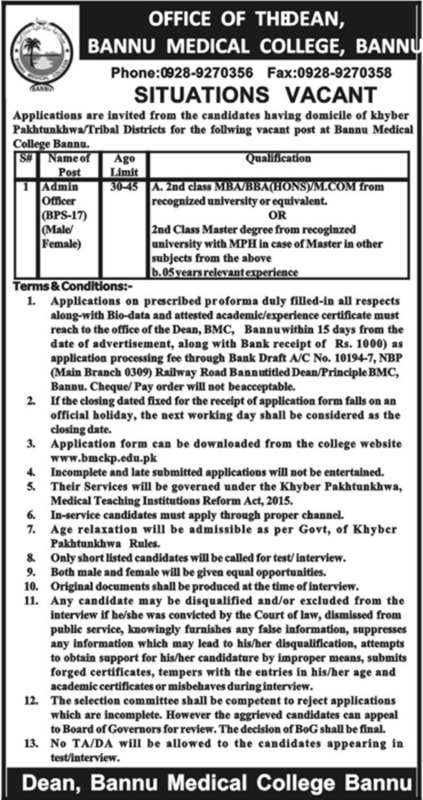 The positions of Professor, Associate Professor, Assistant Professor, Lecturer are vacant. The posts are vacant on TTS/regular basis subject to the approval of University Authorities. The deadline for submission of applications is 1st March 2019. For more details, visit University of Science & Technology Bannu website www.ustb.edu.pk. 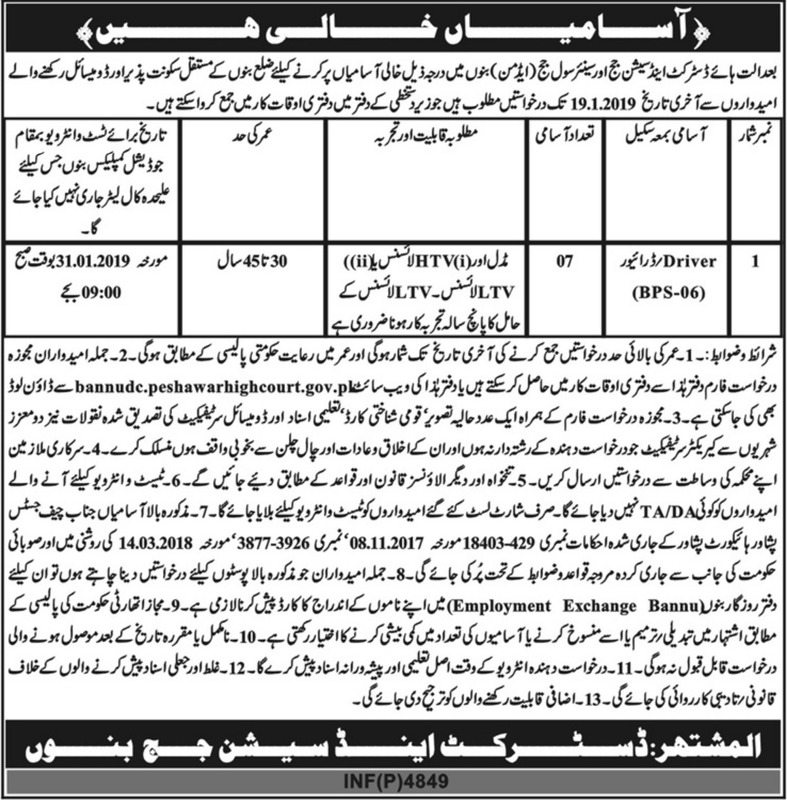 The job advertisement is published in Daily Mashriq dated 7th February 2019.